Dec. 13, 2016, 10:54 a.m. Dec. 13, 2016, 10:54 a.m.
During the month of December, alcohol consumption in the UK increases by over 40%. In spite of repeated campaigns by the Government on the rules of road safety and scheduled police vigilance in the UK, every year during Christmas around 700000 people are said to sit behind the wheels. 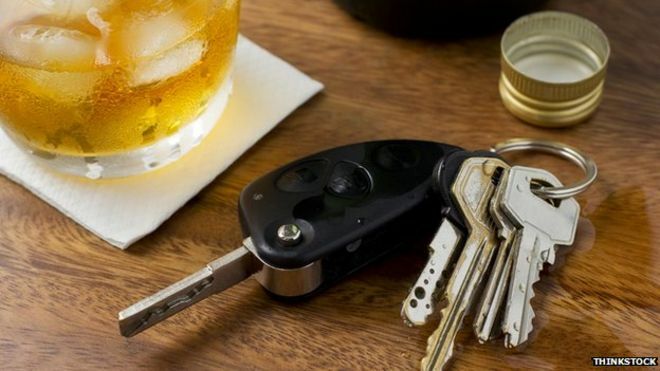 This is in accordance with one in five individuals knowing that they have exceeded the drinking limits for driving however would still choose to break the law. The famous car finance provider, Zuto has predicted that there will be chaos on the UK streets on the Christmas eve as 9.9 motorists are presumed to head home after a Christmas party or get together. Considering that still over 500 deaths take place each year due to drink driving, it is imperative for everyone to be on guard during this time. Although over the past year there has been considerable reduction in drink driving offences in the UK i.e. demonstrating an overall decrease of 7% which is quite commendable however, it is imperative to keep a watchful eye on the drunk drivers during the festive season when the frequency of cars and drunk drivers increase in leaps and bounds with the major probability of offences being taken place on Christmas eve. According to DVLA, drink driving during Christmas could mean imprisonment for six months, unlimited fine and banned from driving for at least one year or up to three years if convicted for the second time in ten years. What is the drinking limit for driving in the UK? In England and Wales, the alcohol limit for drivers is 80 milligrammes of alcohol per 100 millilitres of blood, 107 milligrammes of alcohol per 100 millilitres of urine or 35 microgrammes of alcohol per 100 millilitres of breath. In most other European countries, the limit is compartivly less and is generally 50 milligrammes per 100 millilitres of blood. Wales is currently predicted to contain the highest number of drink driving offenders as compared to any other region in the UK. Considering that the average miles driven during Christmas is around 5 miles and the drivers will mostly consider availing the residential roads after attending Christmas parties and dinner. This is perceived not only as offensive but inexcusable as most of the motorists will at least have one passenger in the car. How much can you drink during Christmas and still stay under the limit? There are numerous activities we perform simultaneously when we drive and these activities are heavily affected under the influence of alcohol. Following are examples of some of the hindrances which are caused under the influence of alcohol. Reflexes are slackened and reaction time becomes delayed as the brain takes time to transmit messages to the body muscles. Vision is blurred which affects your visibility to see clearly what is in front of you. What are the implications of drinking and driving during Christmas? In the UK, the police will set up numerous drink driving check points during the festive season to curb the practice. A screening breath test will be conducted by the police at the roadside if they suspect that you have been drinking and driving. If you are fail the test or if the police suspects that your drinking interfered with your driving, you will be taken to the police station and another round of breathalyzer test will be performed on you, this time with a complex breathalyzer. The lower reading will be considered to prove your guilt. If your breath sample detects that you are up to 40% over the drinking limit, you might be allowed to replace it with a blood or urine sample, which is again upon the discretion of the police. If the limits still show as exceeded, you will be charged against law. If proved guilty, you might be fined up to £5000, banned from driving for up to one year and can also be sent to prison, depending on the seriousness of your offence. How can you avoid drinking and driving during Christmas? You can avoid drink driving by adopting the below measures. If you are planning to have a friends’ night out, ensure that you at least one person in the group who refrains from drinking alcohol so that he or she can drive the others home safely. Try and avail public transport however if you have missed the last bus, train or tube or you think you might not be in a position to board public transport after the party, take advantages of call taxis. If you have no other option but to drive, you can stick to standard soft drinks, non alcoholic beer and soft drinks. If you been drinking for quite sometime in the night, chances are that your driving may still be affected by alcohol the next day too. Taking a shower, eating food, drinking coffee or even sleeping might not be able to curb the percentage of alcohol running in your bloodstream and hence, do not drive. It takes time for your frenzy to leave you and ensure that you have allowed yourself sufficient time to wear off. Every year the UK Government spends a lot of money to campaign to curb drink driving during the season of festivals. Like each year, this year also the Government has spent approximately £2 million to warn motorists, especially the male drivers between 17 and 24 years from drinking and driving. The Transport department also has taken numerous additional endeavours to refrain motorists from drunk driving during Christmas. Let us pledge to remain in the best of our demeanor during this month and have a good Christmas within the boundaries of the regulations.